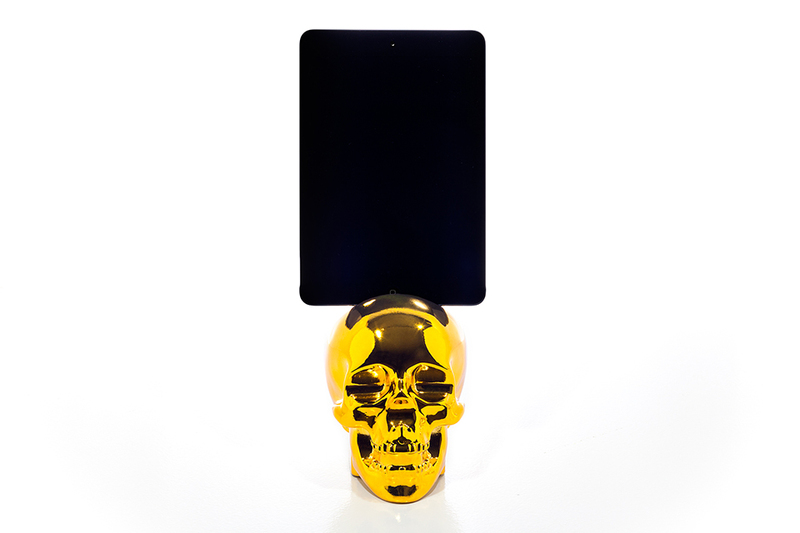 Detroit-based shop 400oz. 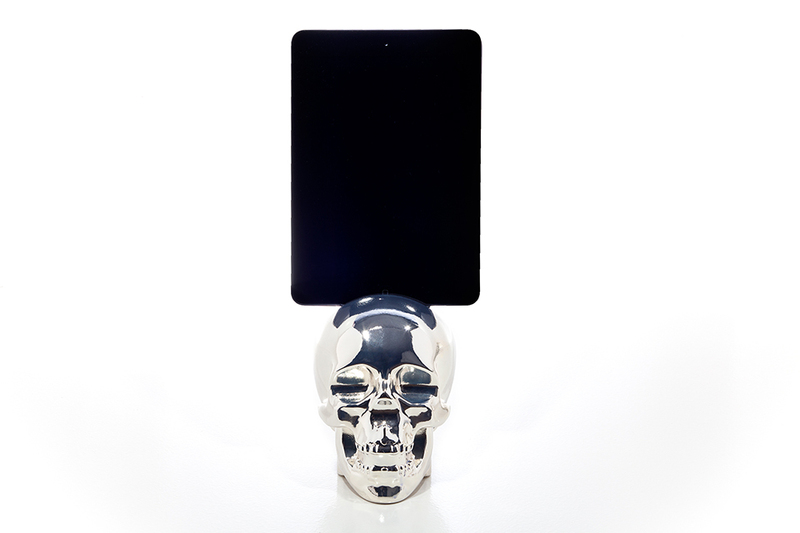 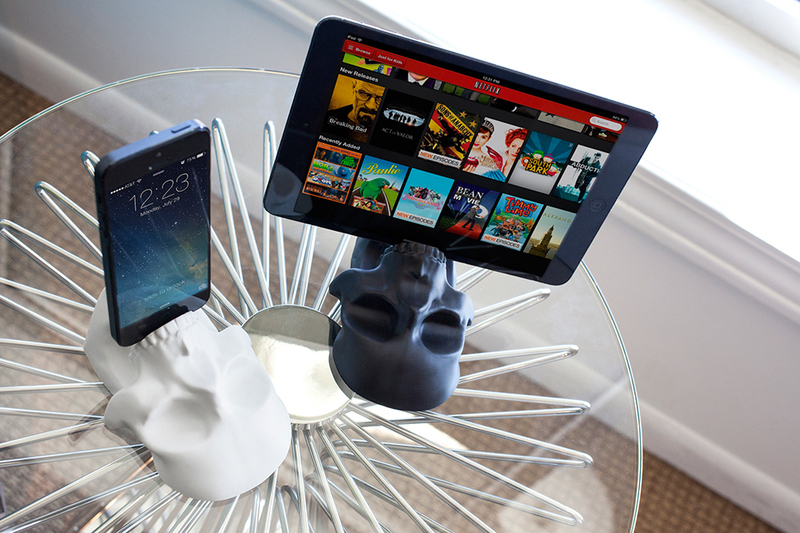 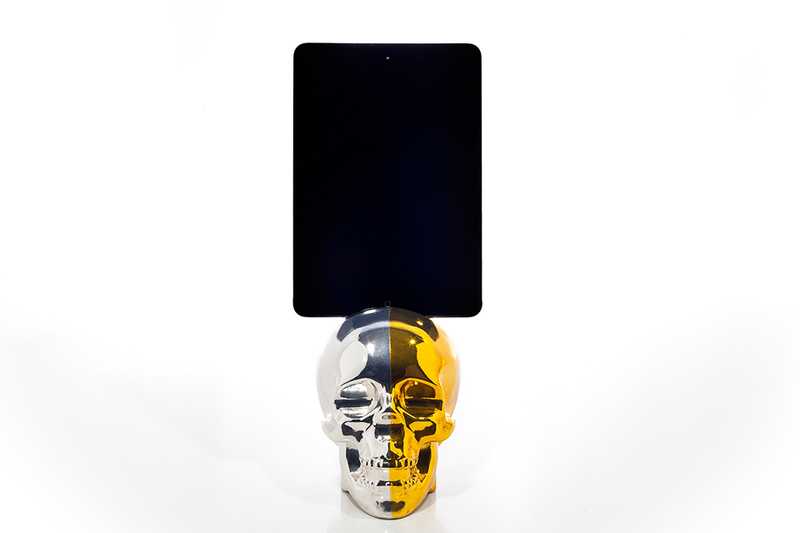 makes skull-shaped resin stands. 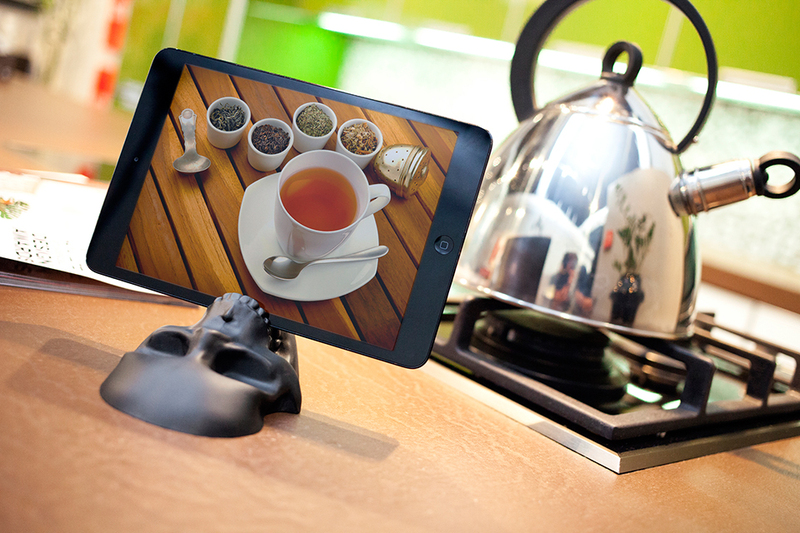 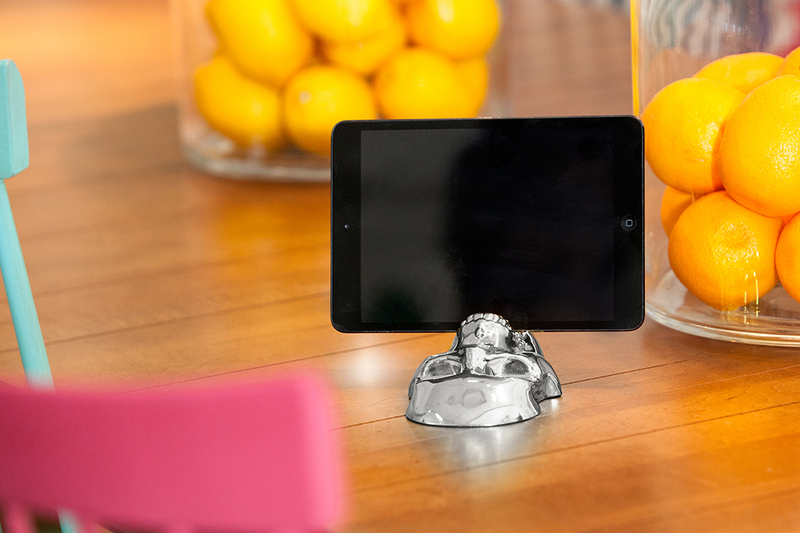 The stands can hold cards, phones, tablets and anything in between. 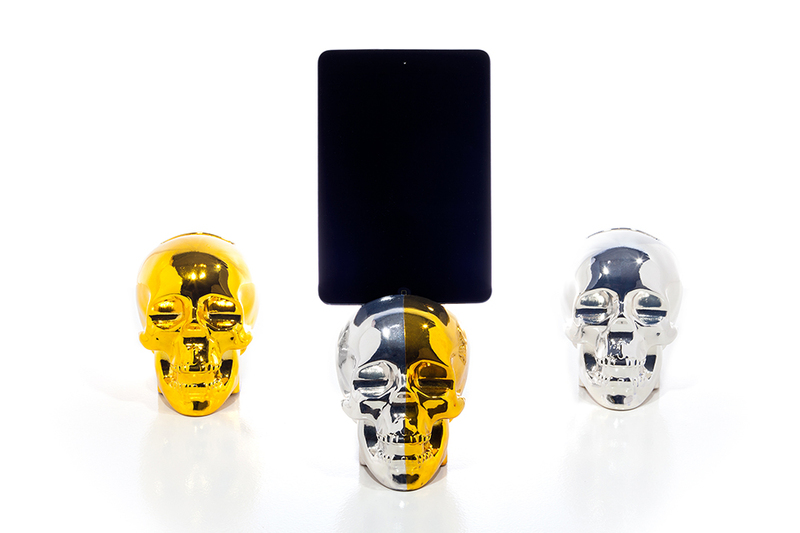 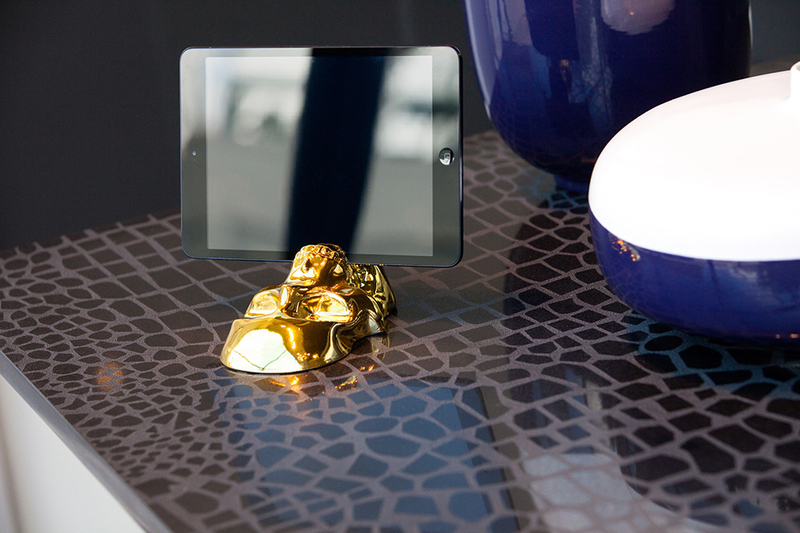 Choose from a flat or an upright design and a white, black, chrome or gold finish.